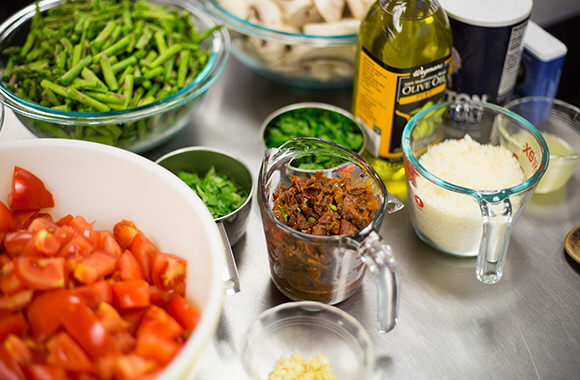 Healthy, affordable groceries, with an emphasis on essentials, ingredients, and fresh produce for students. 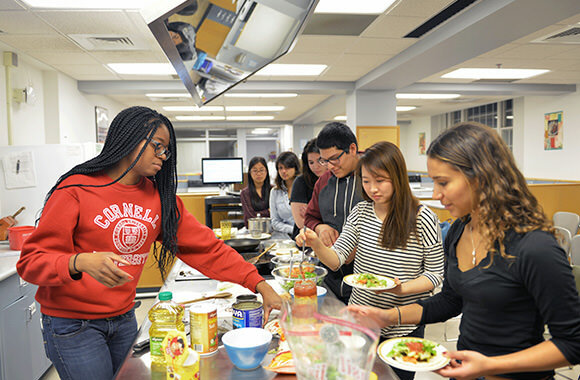 After 4 years of visioning and planning, Anabel’s Grocery opened their student-run grocery store in Cornell’s Anabel Taylor Hall in May 2017. We went through and considered a lot of solutions, and we finally landed on opening a student-run grocery store. 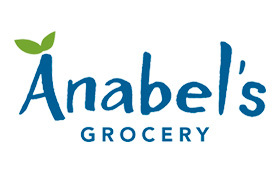 Anabel’s seeks to provide healthy, affordable groceries, with an emphasis on essentials, ingredients, and fresh produce. The store also offers healthy grab-and-go items like Chobani yogurts, healthy drinks, trail mix, and granola bars. The store will be responsive to student needs, adapting to feedback and demand, as traffic to the store increases and feedback starts coming in. 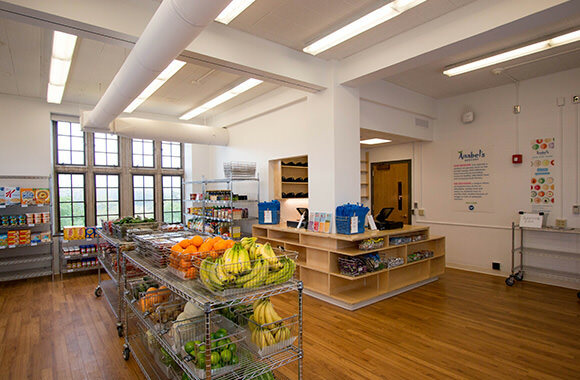 In an effort to break down the stigma that conventionally surrounds food insecurity, Anabel’s Grocery also has a programming arm. 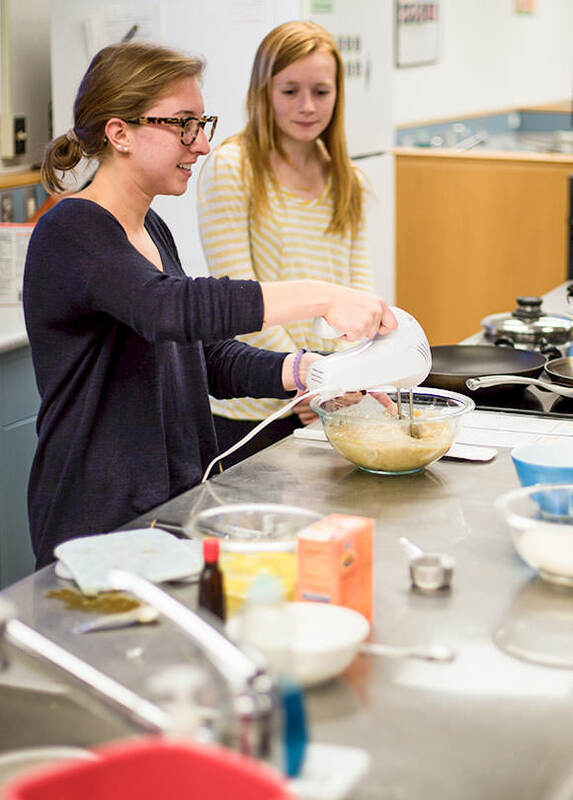 Cooking classes help students learn how to cook healthy, quick meals on a budget. The programming team hosts panels with experts in areas of nutrition, food security, and farming. Anabel’s also offers subsidies, which are handled with as much anonymity as possible at checkout, and all volunteers will go through sensitivity training this fall. 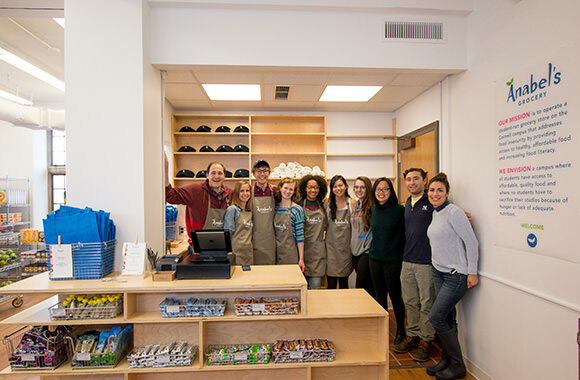 “Overall, since the store is for all students regardless of financial status or food security level, the store is neutral ground and should thrive without stigma,” explains Alexandra. The project has been built on its ability to draw students with diverse backgrounds and talents. Alexandra is an architecture student who was initially drawn to the project for the opportunity to get involved in the renovation, graphics, and branding of Anabel’s. Kerry is an Agricultural Science major. Other student leaders bring expertise from engineering, biology, and policy studies. Some of the founding student leaders graduated this year, and they’re thankful for the consistency that the Center for Transformative Action can provide beyond the finite student cycles.